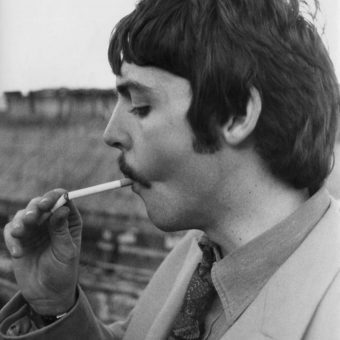 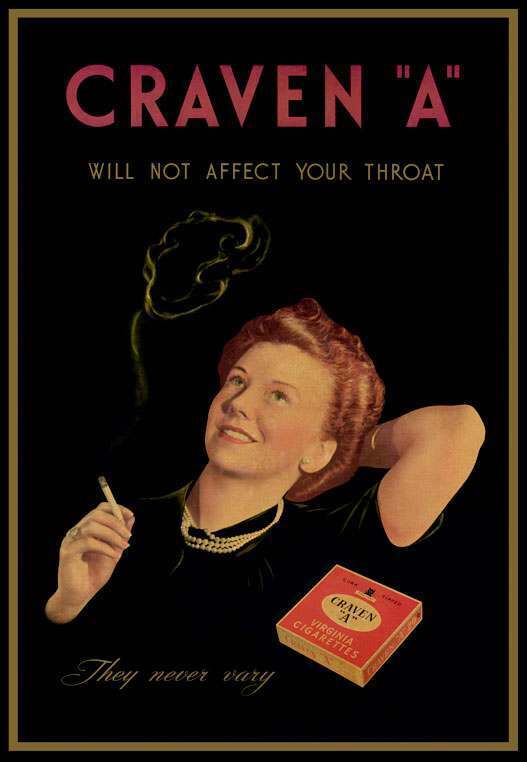 For Your Throat’s Sake! 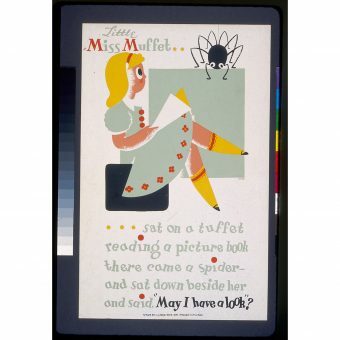 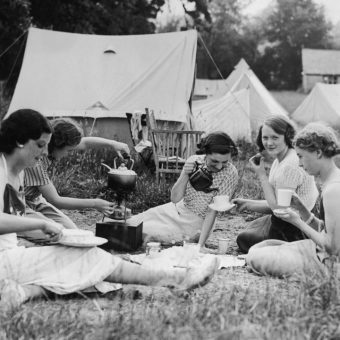 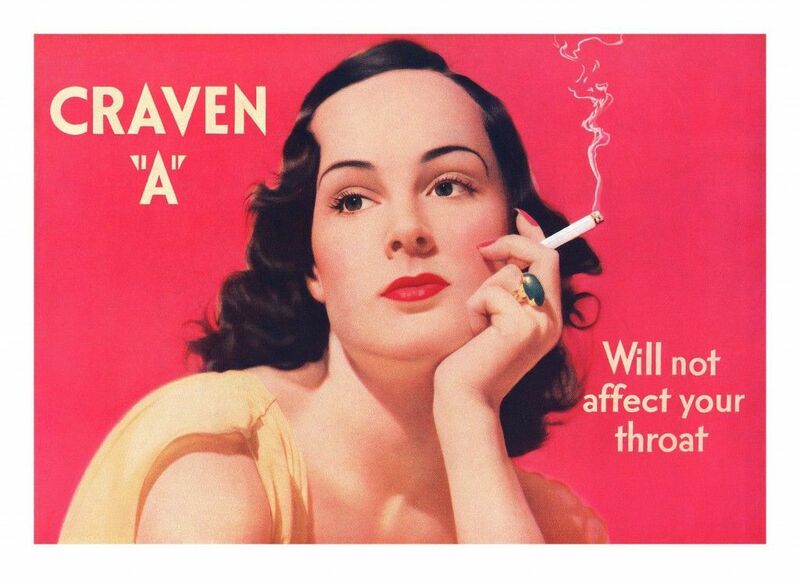 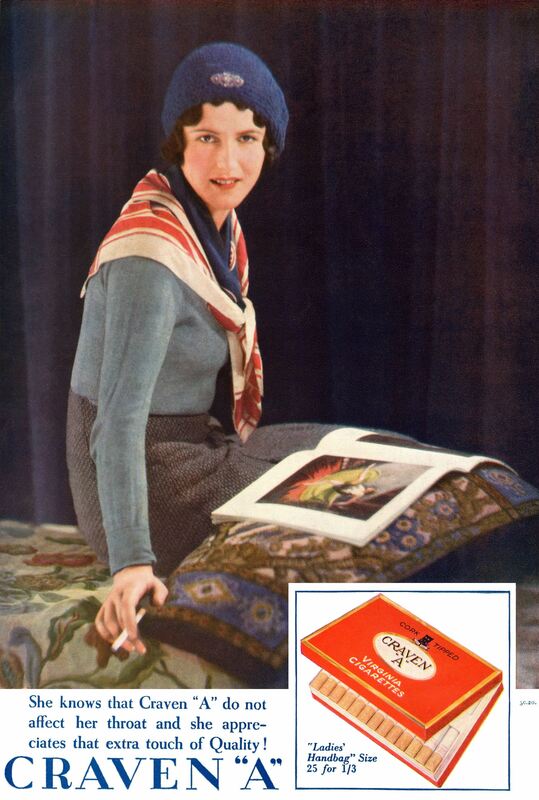 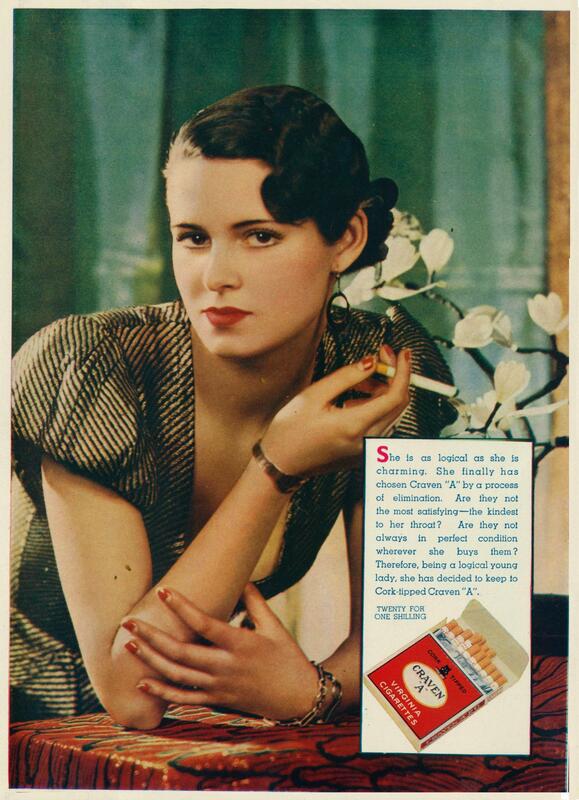 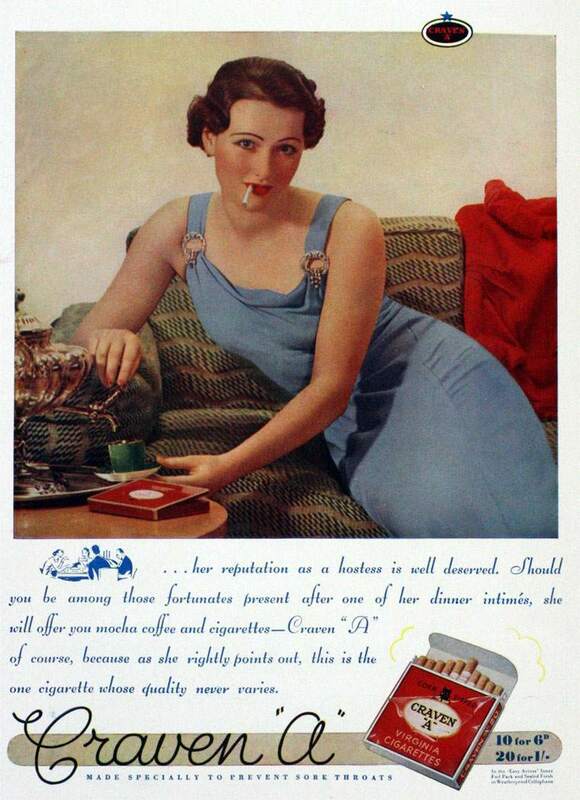 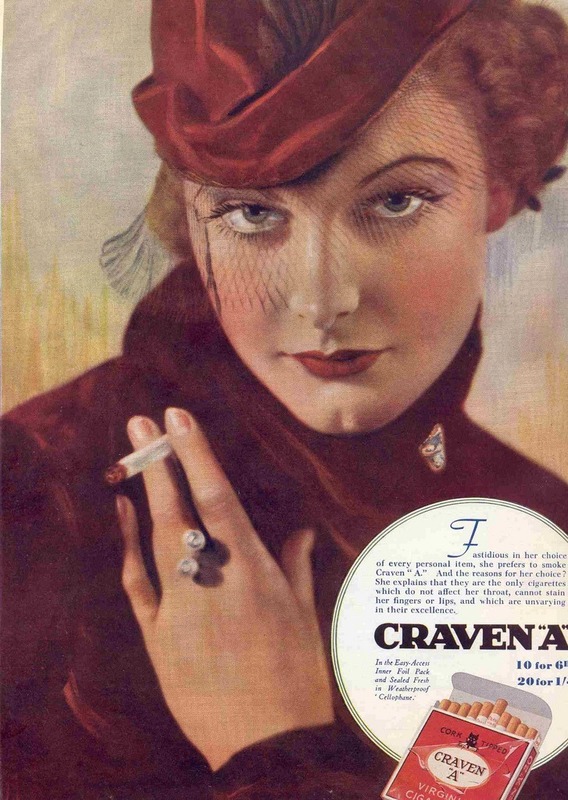 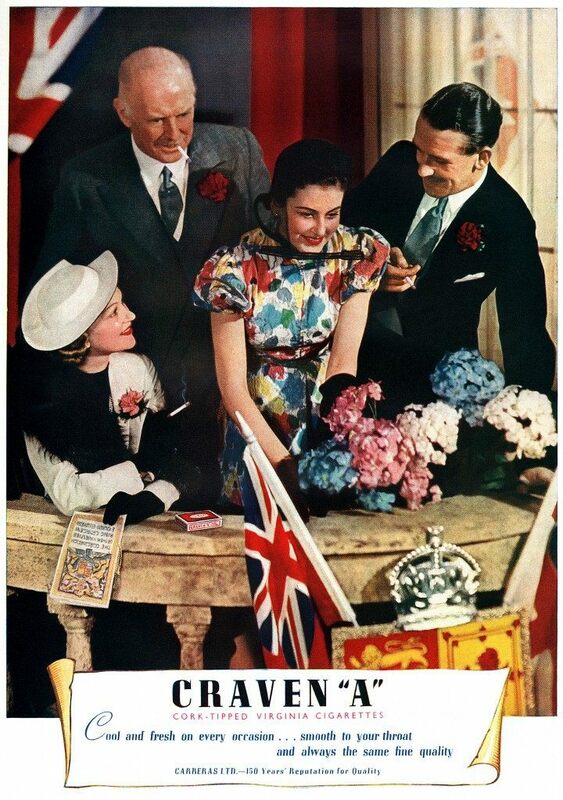 Ten Beautiful Craven ‘A’ Cigarette Ads from the 1930s. 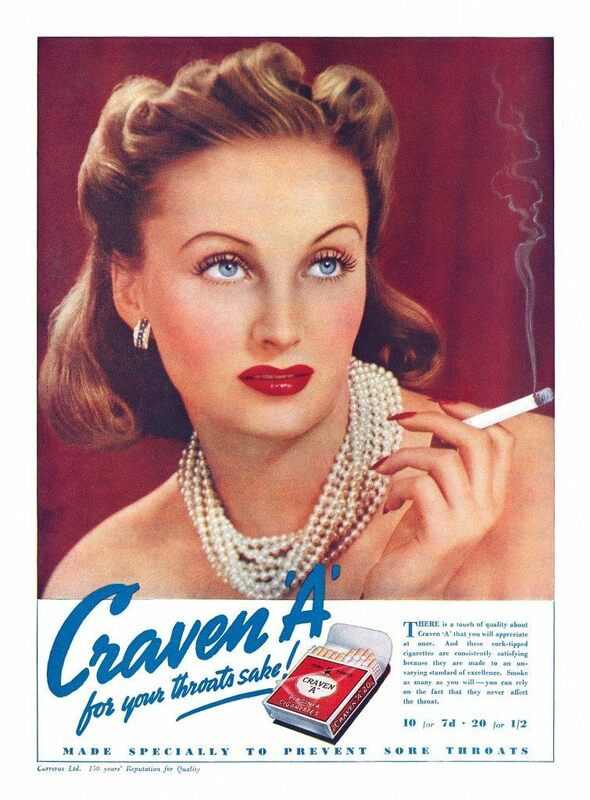 In 1921 the prestigious cigarette company called Carreras launched the Craven ‘A’ brand that would go on to become a household name in 120 countries throughout the world. 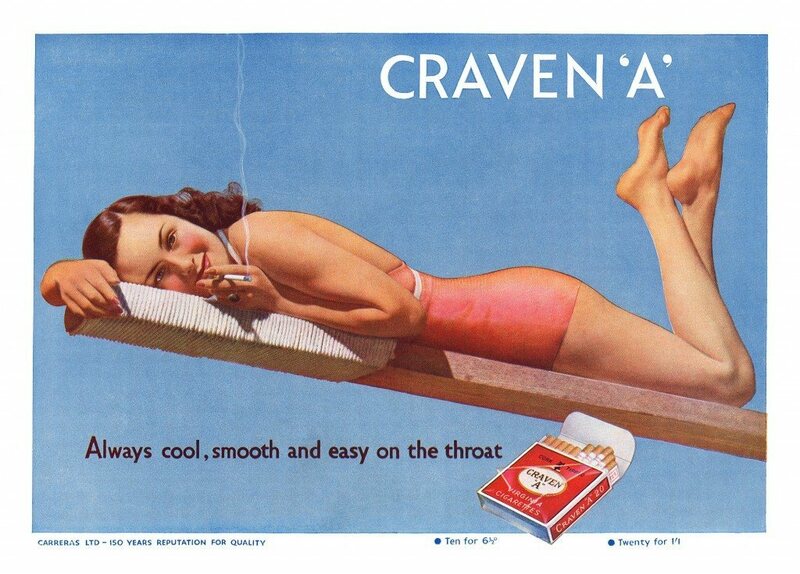 It had a famous slogan, which was, even in the years after the first world war must have been seen as a blatant lie: “Will Not Affect Your Throat.” The Craven ‘A’ was the first machine-made cork-tipped cigarette and named after the Earl of Craven whose family were close friends of the company.